A charity is looking for volunteers to work with children who need extra support with reading in schools. Reading Matters needs more helpers to work in schools in north Sheffield. Reading mentors provide children with one-to-one literacy support. They have been placed in schools by Reading Matters since 1997 and are given full training before being offered placements. One reading mentor currently working in Sheffield said: “It has been wonderful to see my reading partners improve and develop. “They are now happy to read aloud in class and I know they are reading for pleasure at home”. Over the last academic year Reading Matters worked with over 4,600 children. 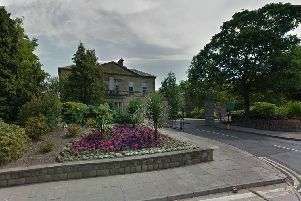 The Yorkshire-based charity is holding a conference in Brighouse on July 9. Anyone able to give up two hours of time each week to support youngsters with their reading should call Christine at Reading Matters on 01274 692219 or 07841 504374. She can also be contacted via email on christine@readingmatters.org.uk. To attend the conference call 01274 692219 or email info@readingmatters.org.uk for more information.